Hailed by many critics as the best episode of The Original Series, The City on the Edge of Forever begins with the Enterprise exploring a source of waves of time displacement. As the ship is rocking back and forth (a feature so often found in Star Trek that it’s been a source of many parodies) Dr. McCoy accidentally overdoses on a drug that drives him insane. In his drug induced paranoia he flees to the surface followed by Kirk, Spock, Scotty, Uhura and several Security guards. On the planet’s surface, they find the source of the time displacement to be an alien time portal. McCoy sees this portal and jumps through changing history, stranding them on the planet. 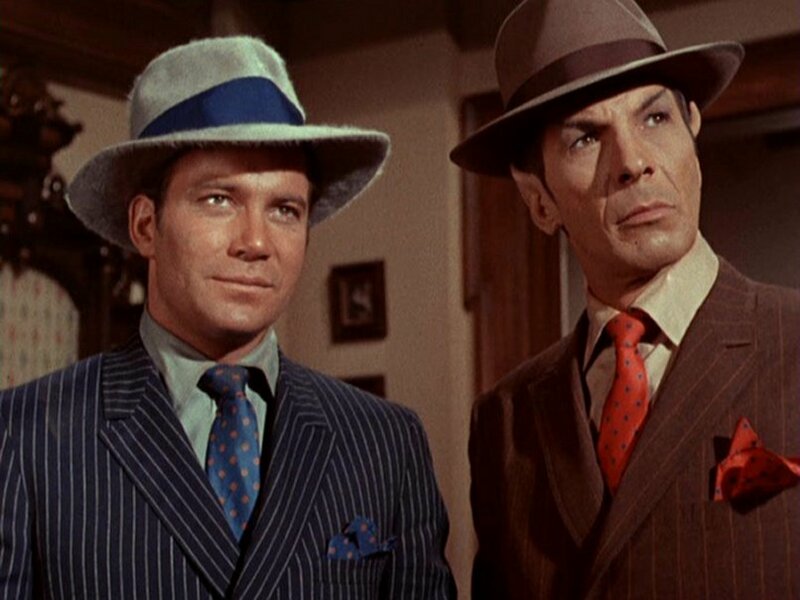 Kirk and Spock follow him back in time to try to find McCoy and reverse the damage. Upon their arrival, they find themselves in New York during the early 1930’s. 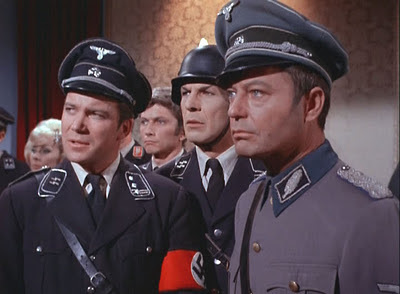 Spock, with his usual mechanical wizardry, learns that McCoy would somehow change history by preventing the US from entering WWII, thereby allowing the Nazis victory. Even though, like the rest of the series, the episode was filmed on a shoestring budget and in this case obviously using the back lots of Paramount Pictures, The City on the Edge of Forever successfully captures the feel of America during the Great Depression. The dress and look of the sets gives one the feel of the 1930’s with its grime and hardship. The show captures the language of the time with references to living at a “flop” and seeing a Clark Gable movie. 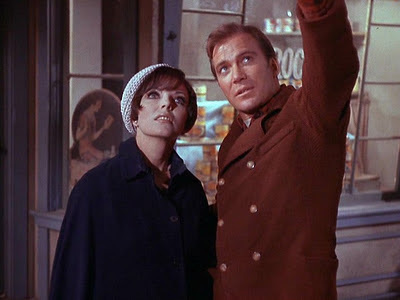 The gorgeous Joan Collins gives a great performance as Edith Keller who owns the “21st Street Mission” and who falls in love (of course) with Kirk. While at times it has a feel of a Hopeful Ottensian theme with Keller’s speech the episode ultimately breaks with the formulaic positive pattern found in so much of Trek and ends, in my opinion, as a Dark Ottensian story. In this episode, another starship called the Horizon had previously visited the planet Sigma Iotia II years before the Prime Directive (which was supposed to prevent interfering in the development of alien cultures) and found the inhabitants just entering into industrialization. Upon beaming down Kirk, Spock, and McCoy find that the aliens had taken a book left by the previous crew titled “Chicago Mobs of the Twenties” and had built their entire society based on the structure of the Mafia. There is no government on the planet but instead each Mob Family controlled territories that function on a feudal style system similar to fiefdoms in which the people pay a percentage to the controlling Mob who in turn provide needed services. These Mob families are in constant warfare with each other to try to expand their territories. A Piece of the Action is a wonderful episode filled with 1920’s fashion, cars, tommy guns and style. It’s a lighthearted episode that doesn’t take itself seriously, full of humor and good fun. 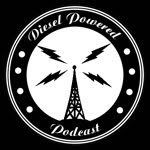 The second season saw another Dieselpunk episode, Patterns of Force. Once again, we find where humans had contaminated an alien planet, known as Ekos. This time the contamination is by a contemporary human cultural researcher by the name of John Gill who thought that by arraigning the alien society into a Fascist system similar to Nazi Germany he would bring order to their anarchistic and violent culture. Instead, what resulted was society as barbaric and warlike as the real Nazi Germany of Earth’s past. In the storyline, the targets of the Ekosian Nazi hate are a peaceful alien race from a nearby planet known as Zeon who had arrived years ago to try to civilize the Ekosians. Our heroes from the Enterprise go under cover on the planet's surface to reverse the damage. The name Zeon, being a clear play on the word Zion, was a not so subtle reference to the Jews and the oppression of the Zeons by the Ekosians being clear reference to the Holocaust. The message of Patterns of Force is that, no matter how benevolent the leadership might be, a dictatorial system invariably degrades into oppression and evil. The Original Series wasn’t the only one to have such episodes. 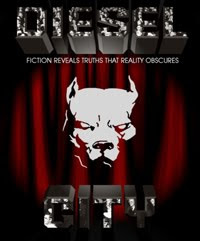 All of the various spin-offs had episodes that one might describe as Dieselpunk, which I’ll explore in later postings. I love Star Trek. Thanks for this write-up! Thanks! Ever since I was a child I've always been a big time Trekkie. I have a sequel to this posting that I'm going to publish soon that looks at the Trek spin-offs.